Utilizing our resources efficiently in order for future generations to thrive - people, planet, profit. It's about social and environmental responsibility, clean renewable energy, efficient public transportation, ethics, national security. It's thinking globally but acting locally, healthy food, synergy, eco-nomics, etc. In short, it's about progress and the future. 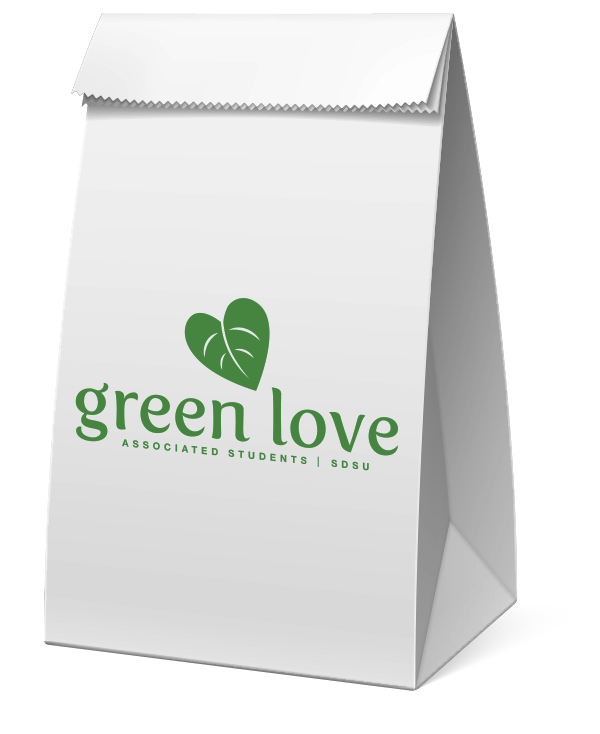 Thank you for taking an interest in the Associated Students' Green Love/Sustainability initiative! We are working very hard to embrace sustainable practices on campus, and we hope that you are excited to join us in the movement. We are proud of our mission and progress to date, but we realize we have a great deal more work to do. If you or anyone you know would like to be on the frontline of change, send us a message or stop by the A.S. Office in the Conrad Prebys Aztec Student Union, Room 320. Green Love always welcomes new members and encourages anyone with an interest to join! If you cannot make it to our weekly meetings but would still like to get involved, please join our email list and follow us on social media for information about our upcoming events.